Rare Albums By GUNHILL feat. John Lawton “Nightheat / One Over The Eight” Now Re-Released and OUT NOW! London, UK – GUNHILL is a band from the 90’s which featured JOHN LAWTON, the former lead singer of URIAH HEEP. This twofer collects together the cassette / fan club ONLY release ONE OVER THE EIGHT and the long since out of print and VIRTUALLY IMPOSSIBLE to find second album NIGHTHEAT! Both discs feature bonus tracks with the intention of making this set the COMPREHENSIVE collection of all the Gunhill studio recordings! This re-release has been prepared with the full input of JOHN LAWTON personally and has had a 2016 remaster. 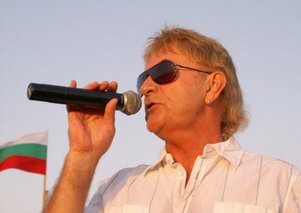 JL: Hi this is John Lawton ex front man of Uriah Heep and Lucifers Friend and various other projects…. MW: You got your start in Asterix in 1970. Why did you all decide to change the name to Lucifer’s Friend? JL: Actually Asterix was a Lucifer’s Friend project recorded at the same time as the first Lucifers album, but with a different theme running through it and 2 vocalists…..
JL: 2nd Lucifer’s Friend album, very progressive I thought. Several lyrics written by a guy called John O’Brian Docker buta very strong album, got into the Billboard chart which was very good for an unknown German band..
JL: My own personal favourite of all the Lucifer’s albums. Featured the brass section from the James Last Orch. Great songs only 6 of them, but great to record….A bit jazzy for some fans but it just showed how diverse we were…. JL: Back to the rock roots and again a good album with some terrific musicianship from the band…. JL: After a time away from the band with Uriah Heep I rejoined the guys for this album which we recorded in England. Wasn’t the best work we have done, but still had some good songs on it and was unfortunately the last album with the original line up. JL: The last album that the original guitarist Peter Hesslein and I worked on. Again some great material but some say the album was overproduced and I tend to agree, but it was well received…. MW: During this time you were pretty busy because you would also sing for Uriah Heap from 1977 – 1979. How did this come about? JL: After David Byron left Heep, they contacted some friends of mine who new my work from Lucifers Friend and my work with Deep Purple’s Roger Glover. I had sung for Roger on the iconic Butterfly Fly Ball concert at the Albert Hall in London. I received a call from Ken Hensley from Heep asking me to come to London for an audition. I got the job and the rest is history…. JL: The tracks were already recorded when I joined, so it was a case of me learning the songs and putting my own style to them…Some great songs here including on of my favourites WISE MAN. JL: Back to a more rocky style for the band and a chance for me to write something. The single FREE ME became a big hit for Heep all around the world and took the album on to greater things…. MW: Why did you leave Uriah Heap after such a short time in the band? JL: Many reasons really and too many to list here but basically musical differences. I think the guys had got the taste for commercial success after FREE ME and were consequently looking for the next hit. To my mind that is not what Uriah Heep were noted for. Songs like JULY MORNING, THE WIZARD, SUNRISE and songs of that ilk is what made the band different…. MW: You would go back to Uriah Heap in 2001 to do the live album The Musicians Birthday Party? JL: Actually I went back to the band in 1995. The singer Bernie Shaw was having some problems with his voice so they asked me to do a tour of South Africa with them, which of course I did. The Magicians Birthday was a good gig with the original lineup including Ken Hensley…. MW: Do you think you will ever go and play with Uriah Heap or record with them again? JL: I have learnt in this business to never say never J) who knows we have remained friends throughout the years and Mick Box and I collaborated on a Bulgarian Cinema Movie a year ago. Heep are very settled in their present formation and I can’t envisage my going back or them asking me, we both have our paths to follow. JL: The same guitarist but different musicians in the “engine room” J) some really good songs on this album and we did do a couple of presentation gigs, but it was never going to be long term for me…. JL: A band I put together with some friends to try and get back to what I started off doing all those years ago, ie playing songs that I liked and playing smaller clubs really just for fun…but we were very good I have to say J). JL: Myself and Steve Dunning from the John Lawton Band did a couple of acoustic gigs as a duo and it was so successful that we were asked to record an album which we did called STEPPIN IT UP. It was never going to be more than that and it was just a slight side step from the John Lawton Band. JL: A terrific band with some great musicians and we recorded an album called STING IN THE TALE. We were together for about 2 years and did lots of gigs abroad aswell as England but the guitarist decided to go back to Canada and my buddy Steve Dunning developed some health problems, so we called it a day…pity but there you go. JL: I met with ex Focus axeman Jan Dumee who played me some of his new material which sounded very exciting for me. He had written most of the music for guitar, so it was a challenge to convert the melodies for vocals. The musicians were from Brazil and the basic tracks were recorded in Sao Paulo. I did the vocals in a studio in Holland and we did plan to take the album out on the road. However the lack of promotion from the record company didn’t help, so we had to let it slip. MW: How did Diana Express – The Power Of Mind come about? MW: What do you have planned for 2013? JL: We have some new material to sort out for the next album, but right now the plan is to get out there and present POWER OF MIND live…. The music industry is buzzing about the new concept album by former legendary Uriah Heep / Lucifer’s Friend vocalist John Lawton titled The Power of Mind. 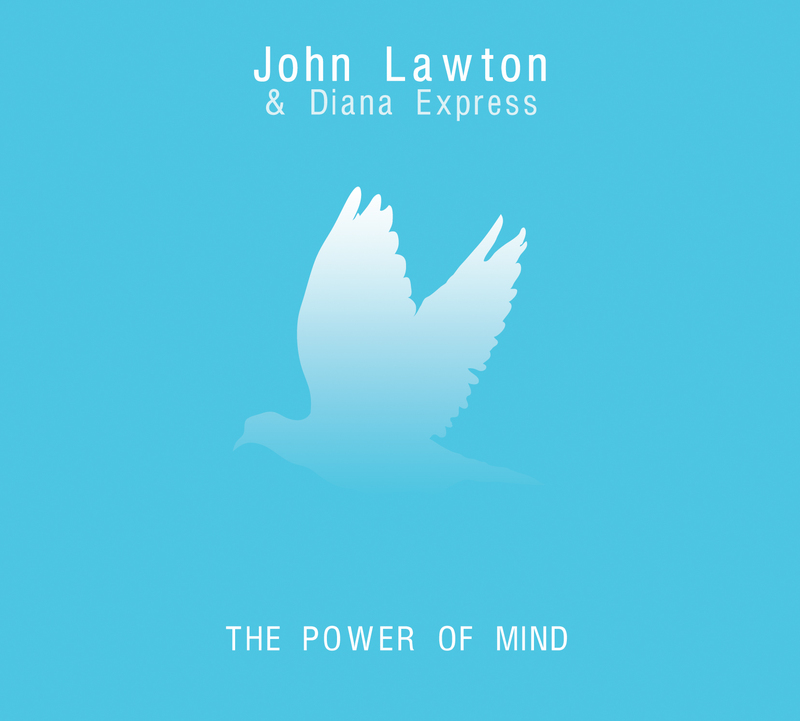 An innovative new CD, conceived, written and produced by the CGI member, Dr. Milen Vrabevski, but performed by John Lawton and Bulgarian ensemble Diana Express, The Power of Mind is an exploration into the science of positive thinking and its applications to the subconscious mind. Featuring 14 amazing songs that showcase the soulful vocals of John Lawton and the powerful instrumentals by Diana Express will leave you wanting to hear it again and again. John Lawton was the singer with Lucifer’s Friend, Les Humphries Singers and of course the legendary Uriah Heep, which he propelled through more blues oriented mainstream rock with 1977’s “Firefly” album. Years following the Heep adventure were spent building a vibrant CV that included the release of a solo album in 1980, stints with Rebel, Zar and old compatriot Ken Hensley. Fast forward to 2012, he is excited about the release of “Power of Mind”, a concept album he made with Bulgarian hard rock act Diana Express. You teamed up with Milen Vrabevski and Bulgarian band Diana Express. Can you tell us more about how this came up? John: I have been going to Bulgaria for the last few years, filming travel documentaries for Bulgarian TV. And doing concerts. A musician friend of mine put me in touch with Milen who had recorded and produced the album POWER OF MIND with the Bulgarian band Diana Express in that language….Milen asked me to sing the album in English. I had a look at the English translation of the lyrics….and yeah I loved it. The next thing I know, I’m in the studio recording it. What’s behind the idea of “The Power of Mind”? John: This is a kind of concept album, in that the songs interlink with each other in melody and lyrics. I found it was like reading a book to a friend while I was recording it. Of course everybody hears a song differently, but I think every listener will connect to this album…. Does the album hold any surprises for John Lawton fans? John: I guess it will! People who know me will expect rock, but I have always tried to do something different with every album I do, but I’m sure the fans will love this album because of the songs…. Are there any plans for bringing this project on the road? John: We have played some gigs featuring songs from Power Of Mind and they went down really well. The plan is to take to the road after Christmas and bring the album to the fans…..
Another of your southeast musical experiences involved Slovenian hard rock act Mary Rose. It seems that you enjoy spending your time in the Balkans. Is the lure of coffee and ratluk so strong? John: (laughs) I really enjoyed my time in Slovenia and singing with Mary Rose was great, they are a terrific band and I love them they are great guys. I do hope to go back there again…. Where there any plans to record an album with Mary Rose? John: We never talked about it, but it would have been nice to record something with them…. You’ve played with a number of bands, Uriah Heep and Lucifer’s Friend being just two of the lot. Where does Diana Express rank as a band? John: Hey, they are great musicians in their own right as were Lucifers Friend and Heep…some people seem to think musicians are only good if they come from the USA or Great Britain or any country west of Berlin (laughs)….well that’s not the case, there are some really good rock musicians from the Balkan countries and I have worked with many of them…. What is the main driving force behind making music at 65? Do you still get excited about releasing a record? This one is a little on the odd side. What’s the biggest misconception people have about John Lawton? John: (laughs)…this is so hard to answer….probably fans think I’m a 24/7 musician…well that’s not the case. I like to cook, long walks, meeting people who are not in the music business, I think I am a family man at heart….maybe this is the misconception…I don’t know… you tell me (laughs). Looking back at the time when you joined Uriah Heep, and the release of “Firefly”. How did you deal with that level of success? Was that extra pressure for you? With your voice carrying a more straight forward, bluesy edge, did you find it hard connecting with the long standing fans? How do you view the Lawton era Heep now? John: Hey, with great affection, we had some great times and we had some hard times, but in the end its the music that counts. Although its been a long time since I was full time in Heep but we have kept contact down the years and we are still friends today. I have stood in with Heep on their tour of South Africa in 1995 when Bernie had some throat problem and done a couple of Magicians Birthday gigs with them….so once you join Uriah Heep, you never really leave. Which part of your career would you call attention to for being the most prolific? For instance, when speaking to Micky Moody, he marked his time in Whitesnake as a hindrance from the artistic point of view. John: I think my time in Lucifers Friend was the most rewarding from a musical point of view. It was a very progressive time in terms of studio work and bringing the ideas to the record company, who at that time were very willing to let us experiment. I Think you will find that most musicians from that time will tell you the same…artistic freedom is what they used to call it. What’s a typical day for you nowadays? John: Depends where I am, and most times I’m on the road on way or another…I present and direct travel films for a Bulgarian TV company and that takes a lot of my time, not only the filming side of it, but the “after filming” part. Narration, English text correction etc…but its fun and I love it. I have met so many interesting people. Then there are the gigs, so my time is pretty much taken up…but I wouldn’t have it any other way…. John Lawton, thank you very much for your time. “The Power of Mind” is out now on Cherry Red Records. Former Uriah Heep / Lucifer’s Friend Legend John Lawton To Release New Concept Album – The Power of Mind! John Lawton began his musical career in North Shields, UK, in the early ’60s with The Deans, a bunch of kids who decided at random that John should be singer. He then moved on to West One and later to Stonewall, which included John Miles, Vic Malcolm (later of Geordie) and Paul Thompson (later of Roxy Music). After Stonewall finished a stint at the Top Ten Club in Hamburg in 1969, John decided to stay in Germany. He is offered the job as singer with legendary German cult rock band Lucifer’s Friend (1969-1976, 1979-1995) and subsequently recorded 9 studio albums during his time with the band. 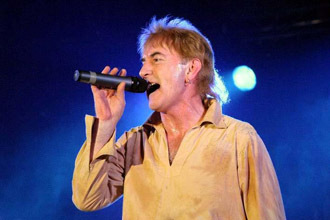 In the early ’70s John also joined the Les Humphries Singers, with whom he recorded more than 20 albums and took part at 1976’s Eurovision Song Contest. In 1976 John joined Uriah Heep as their front man, and recorded the classic albums ‘Innocent Victim’, ‘Firefly’, ‘Fallen Angel’ and ‘Live ’79’, and toured Europe and the USA until September 1979. During his longstanding career John has worked with some big names of rock, on various projects, including Roger Glover’s ‘Butterfly Ball’ and Eddie Hardin’s ‘Wizard’s Convention II’. In late 1980 he joined German rock band Rebel on three albums, including their hit singles “Line of Fire” and “Eagles Flight”. He would record one more album with the group, now known as ZAR in the early ’90s. John ventured into the world of classical music when he recorded vocals for Volker Barber’s ‘Excalibur’. In January 1994 he formed GunHill, later known as JLB – John Lawton Band. The band recorded two albums (studio/live) and toured the UK and Europe. In August 2000 John recorded his first solo album, the critically acclaimed ‘Still Paying My Dues To The Blues’. Available soon on iTunes, “Fairy Tale”, the first single from ‘The Power of Mind’.